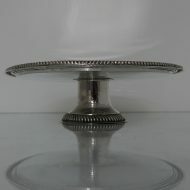 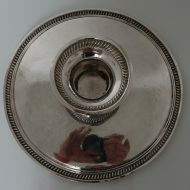 A highly collectable plain formed footed salver (tazza) with applied upper and lower gadroon border for decoration. 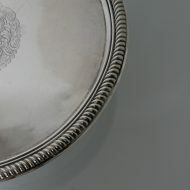 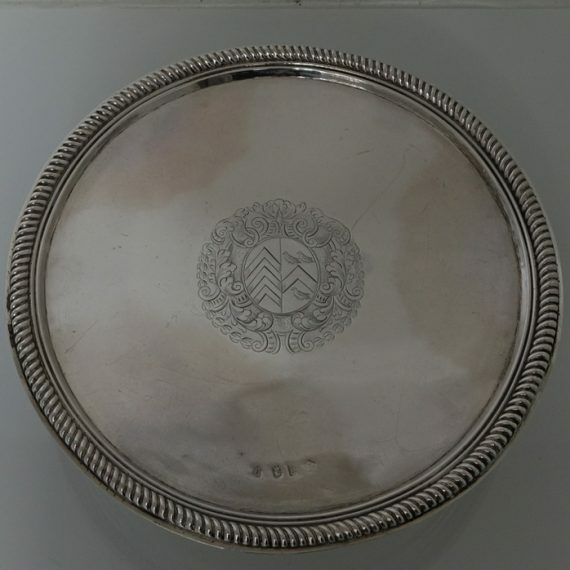 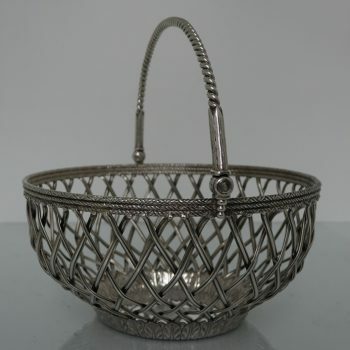 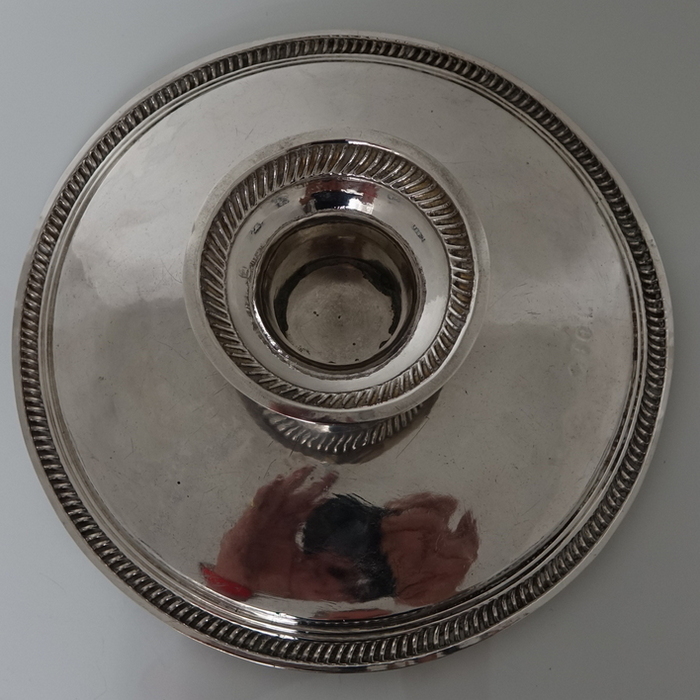 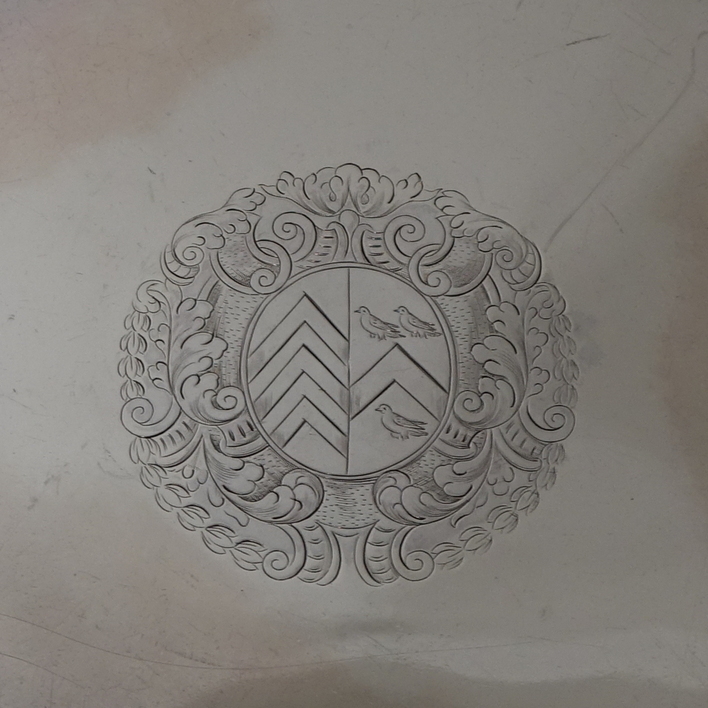 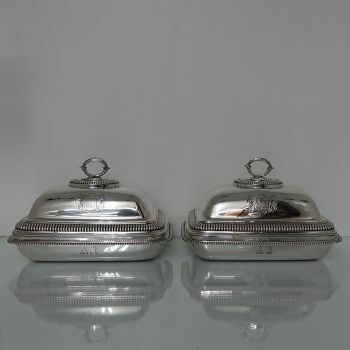 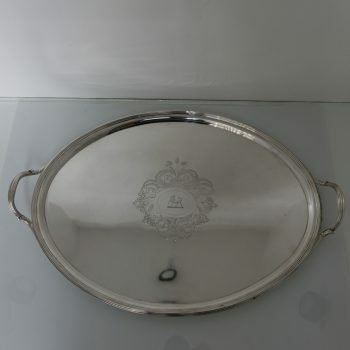 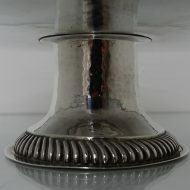 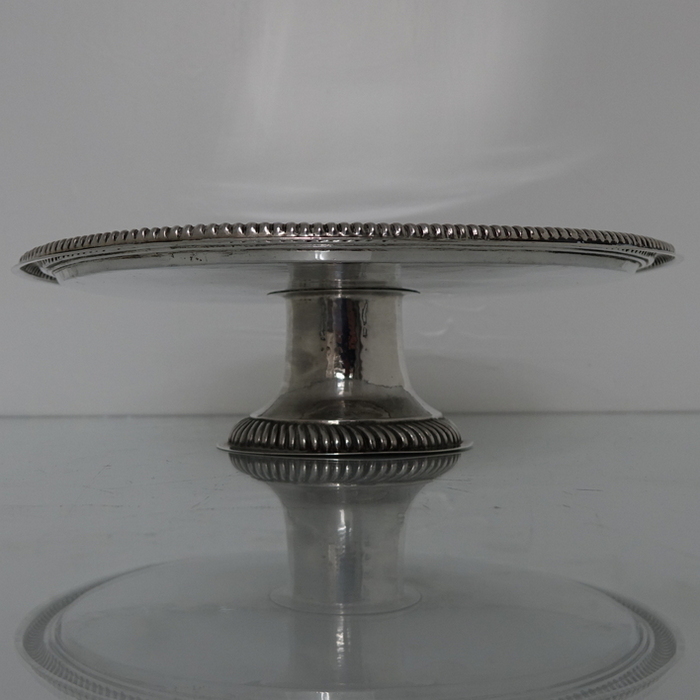 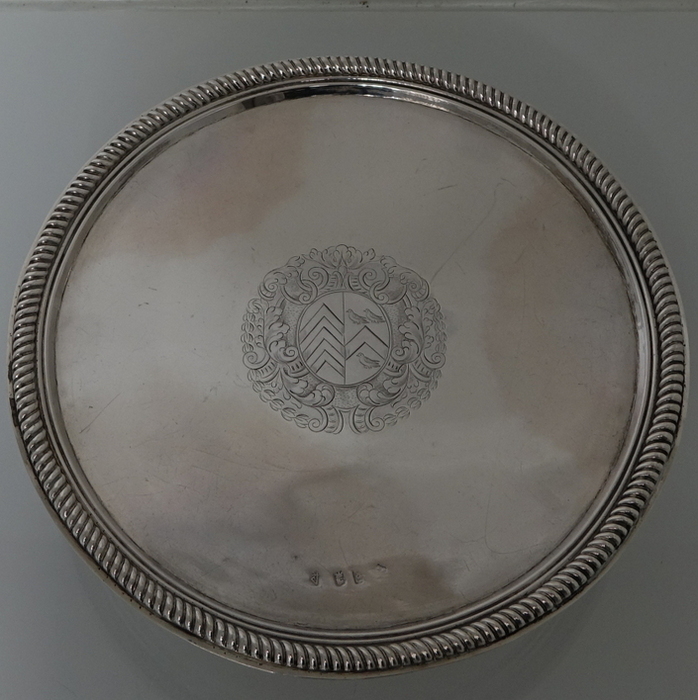 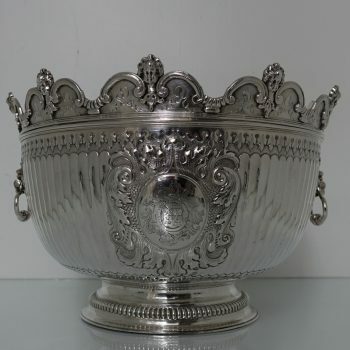 A highly collectable Britannia standard plain formed footed salver (tazza) with applied upper and lower gadroon border for decoration. 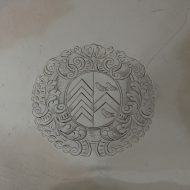 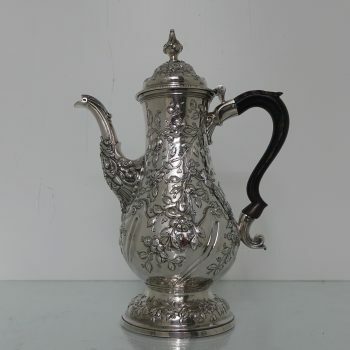 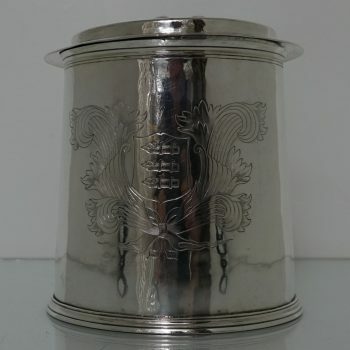 The tazza has an elegant contemporary family coat of arms and sits on a raised pedestal foot. 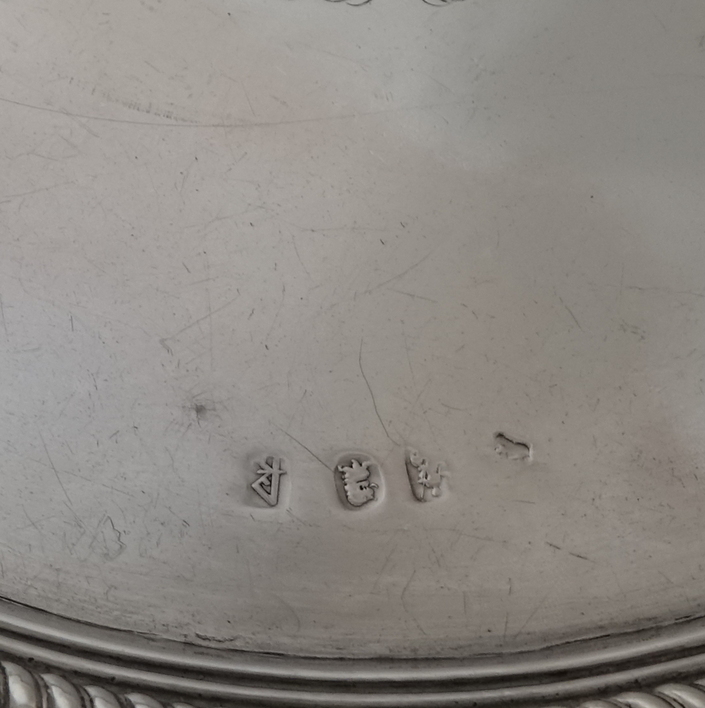 Condition: Very good. 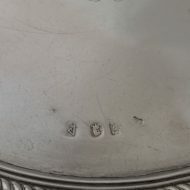 Age worn makers mark.